Unfortunately, many experts rely exclusively upon an unstructured clinical opinion when assessing a defendant, which is essentially a "gut feeling." It is very subjective and not advised by today's standards. Research has shown that the likelihood of being correct is no better than chance. Although an unstructured clinical opinion is considered the worst method in terms of reliability and validity, it is the most commonly used method for assessing areas such as risk of violent recidivism. Current best practices recommend utilizing multiple sources of information when conducting a forensic psychological evaluation, including a comprehensive record review, clinical interview, collateral information, objective psychological testing, and actuarial instruments. First, it is important to review available records, which may include clinical records, police reports, and arrest records. A defendant's history should anchor an expert's opinion because a good predictor of future behavior is past behavior. John Monahan, who is a prominent figure in the field of risk assessment, stated, "if there is one finding that overshadows all others in the area of prediction, it is that the probability of future crime increases with each prior criminal act." Conducting a thorough clinical interview is the next step in evaluating a defendant. A clinical interview provides information about an individual's psychosocial history, current mental status, and whether the person meets criteria for a psychiatric disorder. The clinical interview consists of both behavioral observations and the individual's self-report. Given their legal circumstances, forensic clients are not usually the most reliable historians. Therefore, it is crucial to obtain collateral information from others, such as treatment providers and family members. It is not merely preferred, but essential that psychological opinions be supported by objective data from contemporary assessment tools. Empirically based forensic psychological evaluations are beneficial for both civil and criminal court. In civil cases, an independent medical examination may be required for cases involving personal injury, workers' compensation, or disability determination. In criminal cases, a psychological evaluation may be court ordered to determine competency to stand trial, legal insanity, risk for violence, or sexual dangerousness. Given today's technology in the field of forensic psychology, one can be confident in the expert opinion of a qualified forensic scientist. It is difficult to argue against an empirically guided opinion, which is supported by objective psychological data. A favorable forensic evaluation can provide the edge necessary to persuade a judge or jury in court. Therefore, attorneys often find that a credible forensic psychologist's opinion can be beneficial for their clients, as well as ensure the safety of the community. 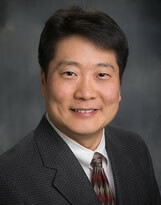 Ray S. Kim, Ph.D., is a Licensed Clinical Psychologist and Board Certified Forensic Psychologist. Dr. Kim is also a Board Registered Mental Illness / Substance Abuse Provider, Diplomate of the American Psychotherapy Association, Diplomate of the American Board of Psychological Specialties, Fellow of the American College of Forensic Examiners Institute, and Fellow of the American College of Advanced Practice Psychologists.